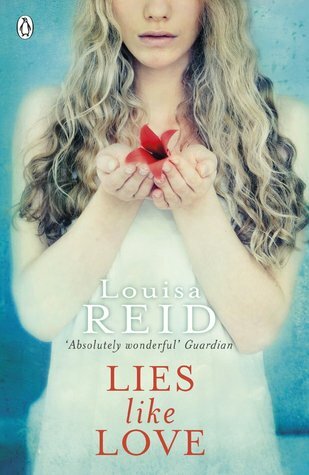 Lies Like Love is the haunting and heart-breaking new novel from Louisa Reid, critically acclaimed author of Black Heart Blue. Sixteen year-old Audrey just wants to be normal.She’s trying to fit in.But what happens when the person closest to you suffocates you with their love?What happens then? When I first started this book I did not think it would be as deep as it was. It captured the life of a depressed girl amazingly well. I haven't suffered from depression but it colored depression like it was a "thing" that was doing it to the girl. Like she didn't view it as she was harming herself she viewed it as the thing was harming her, I liked that. I 100% hated Lorraine! I don't understand how she didn't see that she was making Audrey's life more difficult. Yes, Audrey was depressed but Lorraine acted like she needed to be locked up with a straight jacket on. Some of the things Lorraine said to Audrey was despicable, how did she not see that she was verbally abusing her own daughter? It would drive me crazy to have my mom talk for me, to doctors and teachers. And to tell them that she's probably depressed because she is not as bright as everyone else was just mean. It didn't take me long before I started thinking maybe Lorraine was the sick one because Audrey acted fine. That bathroom scene was a little creepy! I was disturbed by Lorraine asking Audrey to was her back and hair and then showing her the c-section scar, gross! I really think Lorraine had bigger issues than anyone else in this whole book and maybe she should have been on pills. Leo and Audrey were adorable together. They were good for each other, they both had their own problems but they put that aside and loved each other anyway. I don't think they should have gone off and stayed together for New Years eve night. I guess it's because I'm now twenty-something and know better. Most people do stupid stuff in their teen years. The love Audrey had for her little brother was the sweetest thing! I mean to get away from the hell that she lived in just to go back for him, was honorable. I don't know if I would have been able to go back like that. I love my sister but if my mom was treating me like that I would call for help after I got away, or maybe I would have taken her with me. I'm glad Leo was the one that ended up saving Audrey and Peter. I wish there could have been a happy ever after for Leo and Audrey but it was good that Audrey was getting healthy in the end. All in all this was a good book, a bit of an eye opener and had quite the plot twist at the end. I'm glad I had the chance to read it.